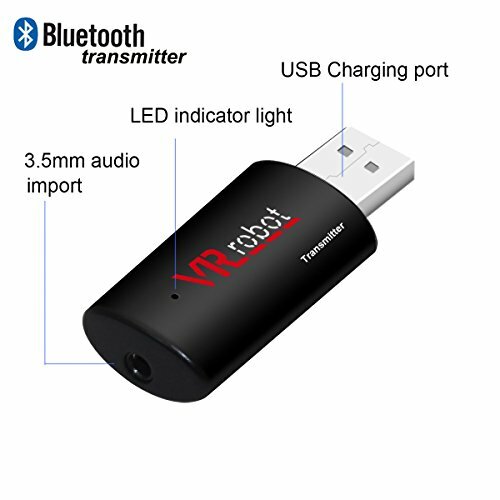 For speakers without USB port---Supply the power to the Bluetooth Music Receiver by connecting charger with 5V USB interface, then connect the Bluetooth Music Receiver to the Speaker's AUX port via the included 3.5mm audio cable. For Speakers with USB port--- Directly connect the device with Speaker's USB port, then connect the Bluetooth Music Receiver to the Speaker's AUX port via the included audio cable. If you have any questions about this product by VR-robot, contact us by completing and submitting the form below. If you are looking for a specif part number, please include it with your message.